There are currently 32 women and 81 men eligible to complete the Trail Mix Series for 2016. Already 18 of those women and 42 of the men have the necessary 4 races in the series for automatic selection upon their entry into the Leatherman’s Loop Lottery 2017. That already exceeds the 2015 total for women completing the series, and it is just 10 shy of the men’s total for 2015. And there’s one more race to go: Raven Rocks! Chelsea Ellis leads the women’s 2016 series despite missing the past two races in the series. With her overall wins in A Mild Sprain and Where the Pavement Ends, she has a significant lead over second place. She needs to finish high up in Raven Rocks as her fourth race to claim the 2016 Trail Mix women’s title. 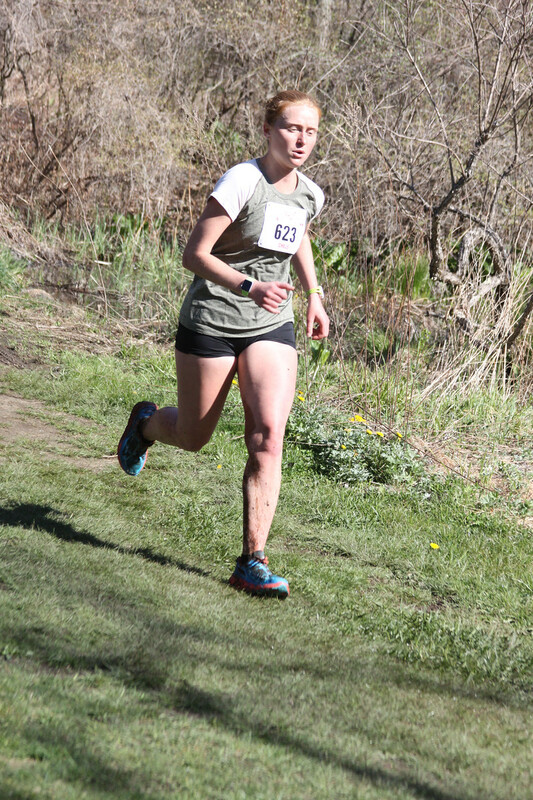 Lindsay Obrig is a strong second in the women’s series and she has already completed 4 races in the series. With a strong showing at Raven Rocks, she can drop her lowest points total and improve her average score. Teren Block has a solid hold on third position and is leading the F50 category. Anne Heinrichs (F30) and Sydney Bieber (FKd) are #4 and #5 and lead their categories as well. Asha Grossberndt has the women’s 15-19 category locked up. Nicholas Roosa came to the 2016 Trail Mix party late, but is feasting on the main courses! He has won Where the Pavement Ends, Sarah Bishop Bushwhack, and Run The Farm to find himself on the top position with a perfect 100 point average. He still must finish his fourth race – and high enough to fight off the close competition. Speaking of close competition, Luis Francisco is in second by just 1/3 of a point behind Nicholas with 3 races complete as well. Luis won Raven Rocks last year and it will be quite a battle if Nicholas and Luis go head-to-head at Raven Rocks in a few weeks. Both Nicholas and Luis have one more race to complete for the series, but Virgil Bretz in 3rd place has already completed his four races and can only improve his series average at this point. He’s just 1/3 of a point behind Luis and 2/3 of a point behind Nicholas. Matt Bedoukian and Josh Faust are 4th and 5th respectively. Both are guaranteed finishers of the Trail Mix series, and Josh has run in all five of the series races to date. Eamonn Sullivan leads in the 14 & under male category. Ryan Pufahl has the male 15-19 category won. Bill Bradsell has the M50 category sewn up with 5 races completed and an insurmountable lead. The same is true for M60 and Joe Mokszycki as well as Nick Ohnell and the M70 category. Congratulations to all of the early winners – Raven Rocks will be a victory lap for you! Four women have completed all five of the Trail Mix races to date in 2016. Fifteen men have done the same! Charles Vaccaro is the only runner to complete ALL of the Trail Mix races from 2014-present. That’s a whopping 14 races to date! Eric Foxhall and Jerre Skeats have run in 13 of the 14 races to date. We appreciate and admire their commitment and dedication to trail running! We hope to see you all at the sixth and final race in the series on November 13th, 2016: the Raven Rocks Run. After the 2016 Trail Mix series is complete, we continue our Sunday Runs throughout the winter and into the spring. Highlights will include the Looper Bowl and Raven Lunatic group runs as well as some night runs that will open your eyes to new trail possibilities. Sign up with Sundayruns.org to get the weekly run location emails. And sign up with Mixed Up Trail Notes for updates on Trail Mix race activity including notification of the Leatherman’s Loop 2017 Lottery opening in early January.